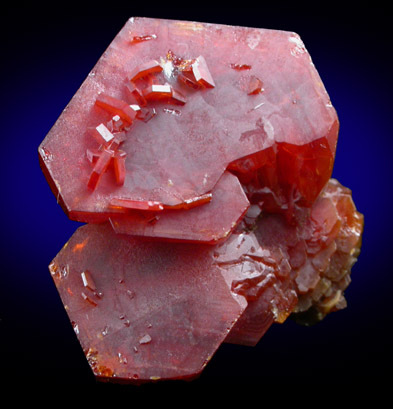 Description: Parallel group of large translucent red vanadinite crystals with tabular, hexagonal form and no matrix attached. 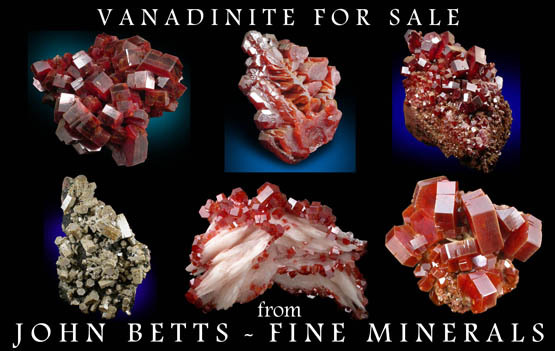 A few smaller vanadinite crystals are overgrown on the surfaces. 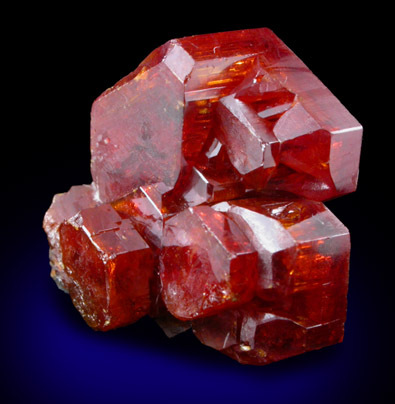 The front crystal has a waxy luster, the sides and rear are highly lustrous.